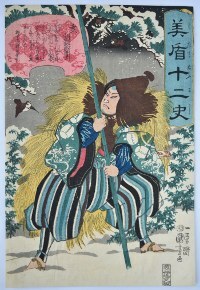 Yamamoto Kansuke striding through the snow. “Boar” from a set Mitate junishi, “Selection for the Twelve Signs.” Published by Ibaya Kyubei, c 1845. 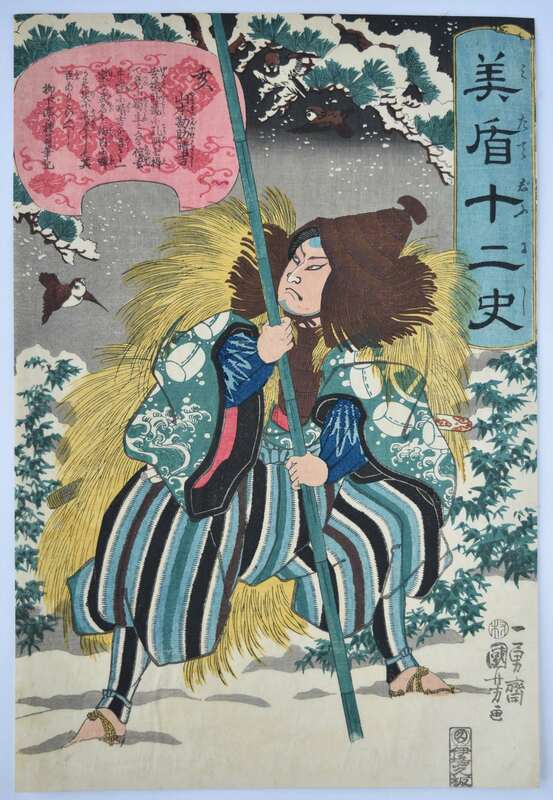 (Kansuke was famous for killing a giant boar in the snow.) Robinson S38.12.